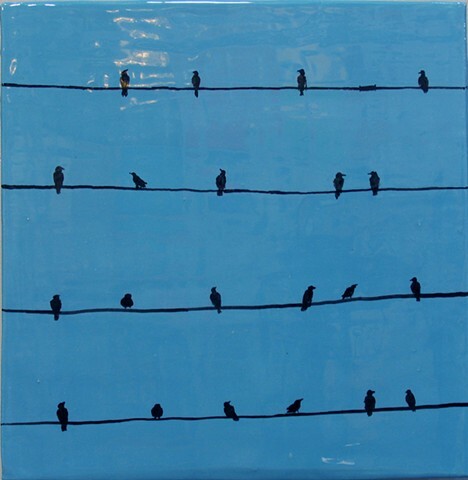 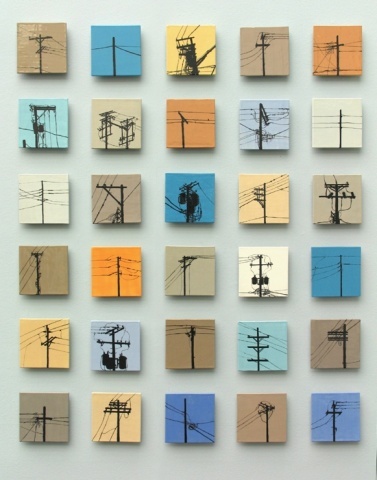 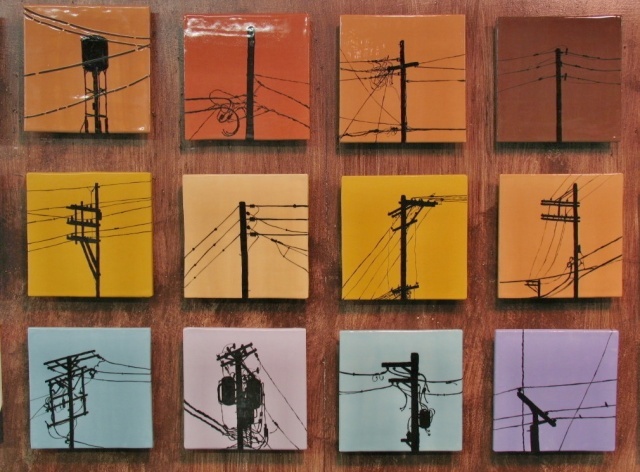 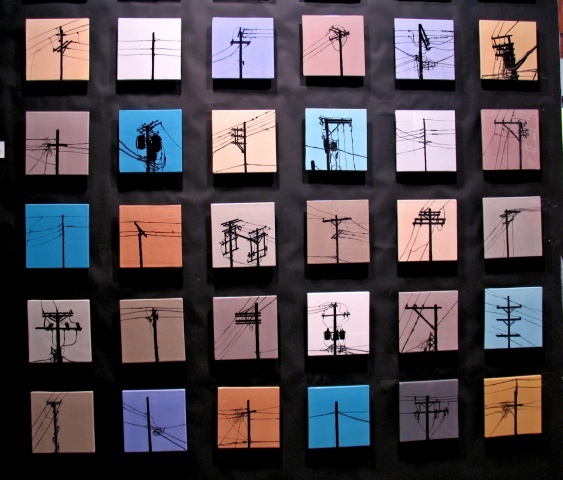 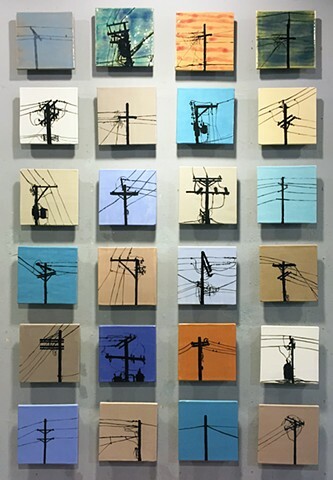 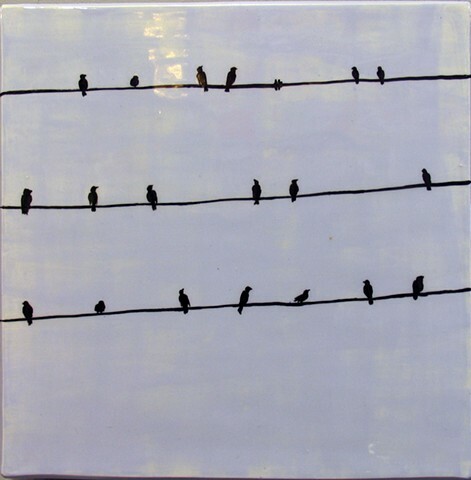 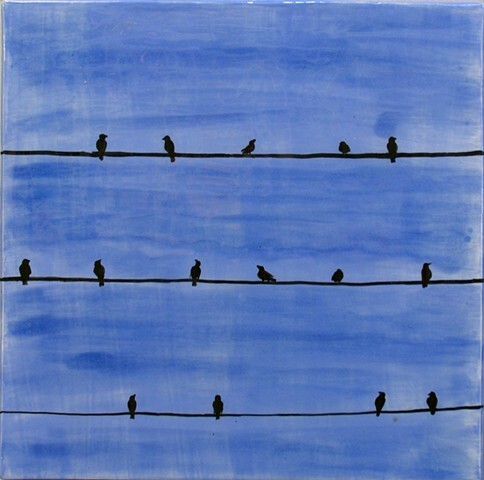 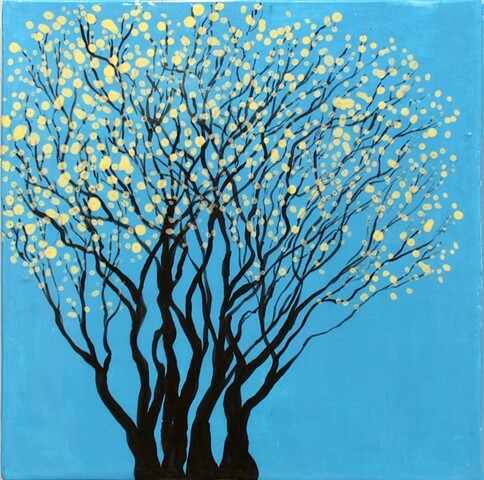 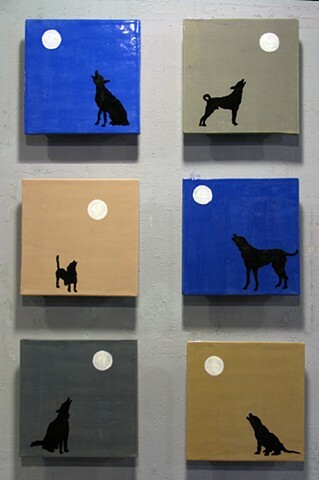 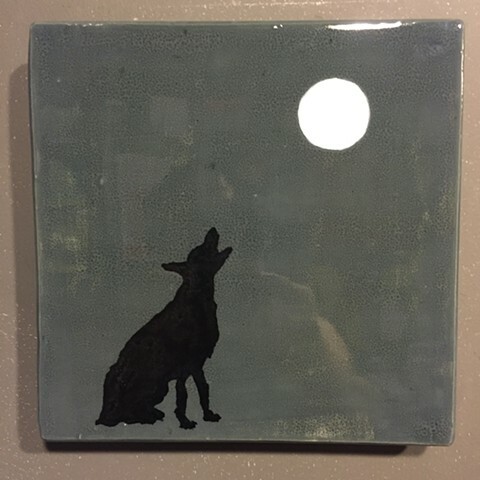 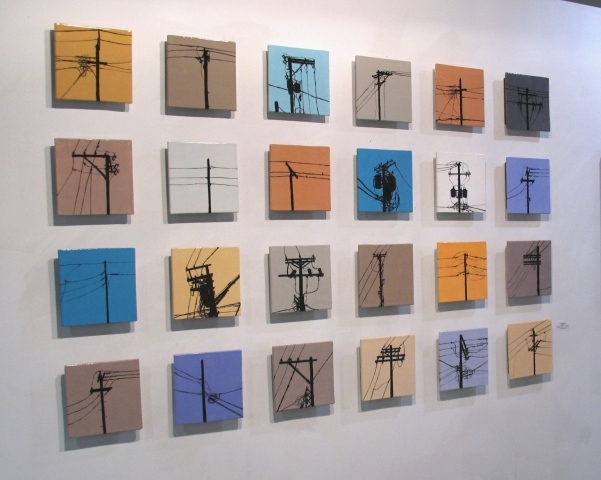 Custom commissions and Hand-painted utility poles in glaze on hand-cast ceramic tile. 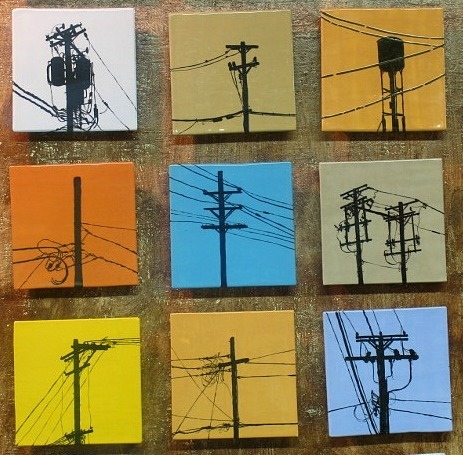 Taken from life studies, the artist creates sillouhettes of urban life. 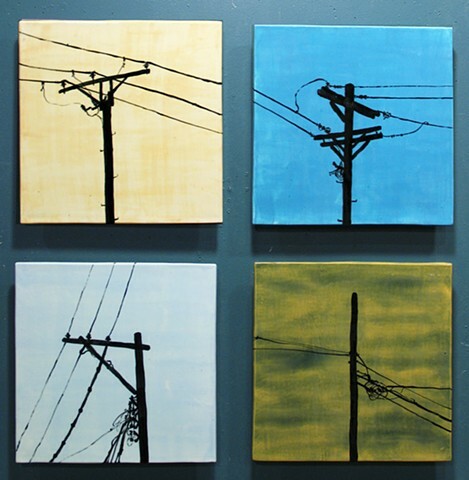 Re-imagining pragmatically designed utility poles into startling signifiers of organic beauty. 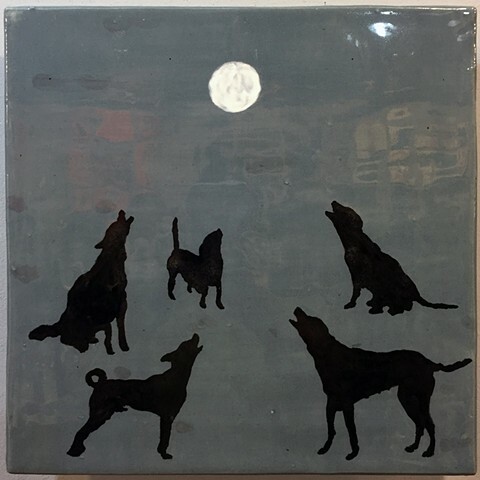 TILE MURALS allow multiple ways to arrange the modular tile work, resetting the narrative for the viewer, who provide their own interpretations of the images. 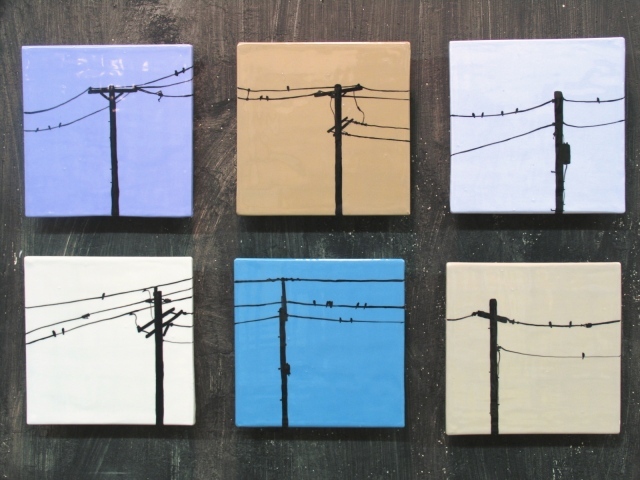 These mega-mosaic grids take symbols into new open-ended meanings. 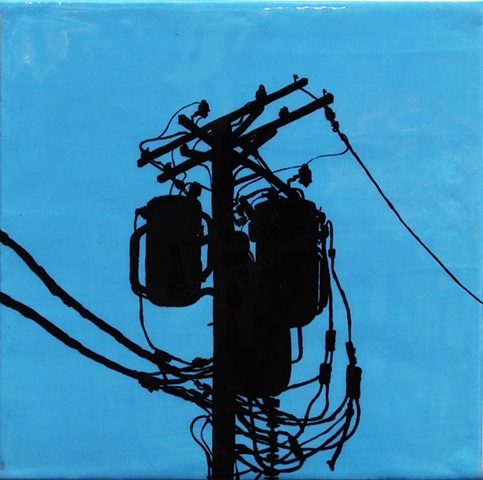 SOLD - "Last Call" 12"x12"
dimensions variable, shown 68" x 56"